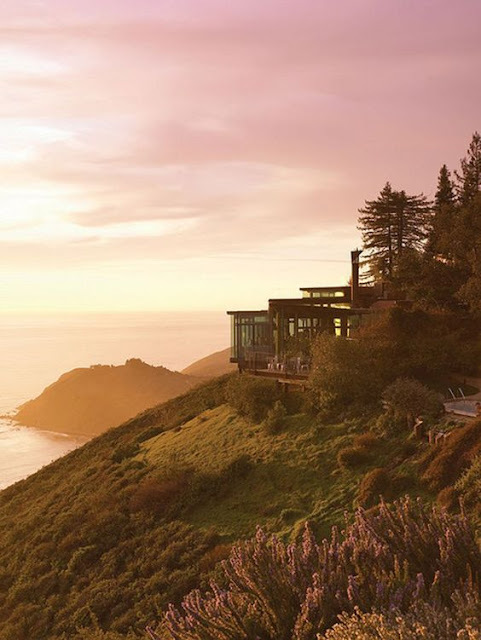 upon hearing of the post ranch inn opening forever ago i've wanted to visit, badly, just haven't had the chance. that being said, katie's aunt managed to get the recipe for their famous granola. 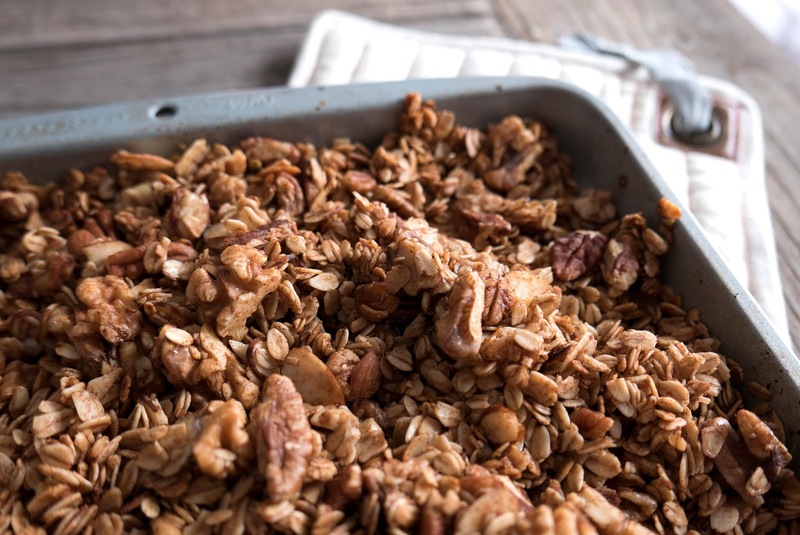 with one of my favorite breakfasts being greek yogurt, fresh fruit, and granola-- not all granolas are created equal-- i was pretty excited by this one. this is good! with guests starting to trickle in for the holidays this is an easy recipe that can be made ahead, making breakfast incredibly easy. thanks for passing along, katie! the arrival of fall always inspires me to cook, roast, and bake the coziest foods i can think of, mainly for the reward of filling my house with the comforting smells of the season. 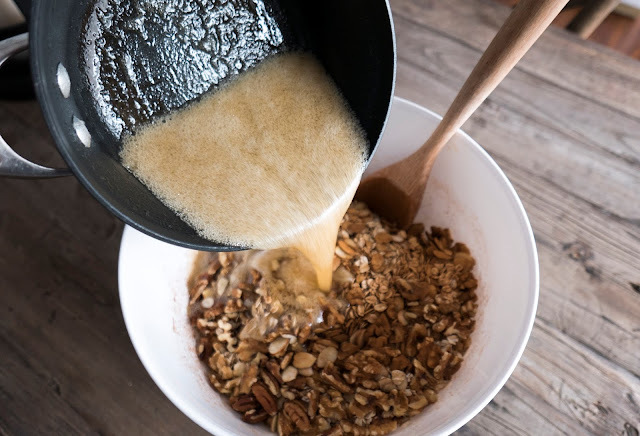 this granola recipe from the post ranch inn in big sur, california fits the bill--filled with fall goodness like cinnamon and pecans, this slightly sweet and crunchy treat will have your home smelling like autumn in no time. 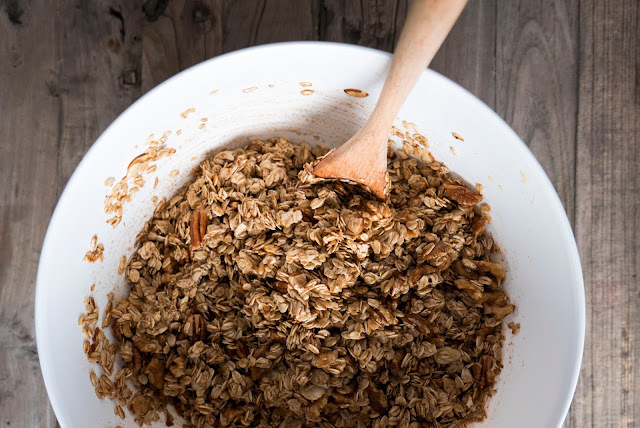 combine oats, almonds, walnuts, pecans, cinnamon, cloves, and nutmeg in a large bowl and set aside. heat honey and oil in a small saucepan until boiling. remove from heat and add in vanilla. stir into the dry ingredients. 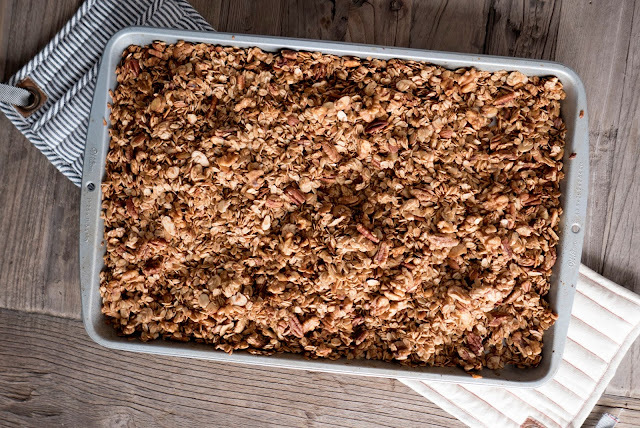 spread mixture onto a large baking pan. bake at 350 degrees for 30 minutes or until golden brown, stirring every 5 minutes. makes 2.5 quarts.